A native of Chicago, Illinois, Herman Poppe started acting at the age of seven, playing the Sandman in Humperdinck’s Hansel and Gretel with the Chicago Park District Opera Company. During high school, he was hired as a staff actor on a work/study program by the Board of Education radio station – WBEZ. While there, he was cast as George Gibbs in an Equity Library Theatre production of Our Town. The experience of working with a cast of professional actors encouraged Herman to make acting his career. He studied writing and performing arts at DePauw University, acting in summer stock at theatres around the country during the semester breaks. After graduating with honors and a Bachelor of Arts Degree, he moved on to graduate school at Stanford University, but left before finishing his Master’s Degree to act at the Oregon Shakespeare Festival. At the end of the season, Herman traveled to Europe where Special Services for Southern Germany produced a two-man show Herman wrote based on Shakespeare’s tragedies. He and a friend performed the show for soldiers at Army bases, officer’s clubs, hospitals, libraries, and other venues around Germany until they returned for another season at the Oregon Festival. 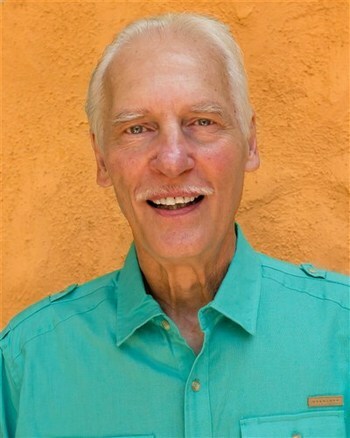 Herman then moved to San Francisco and performed in several theatres including a season with the Marin Shakespeare Festival before joining the acting company of the American Conservatory Theatre where he performed for five seasons. Before he left A.C.T., he appeared with them in two shows on Broadway – A Flea in Her Ear, directed by Gower Champion and Three Sisters, directed by William Ball. In 1971, now blessed with a wife and son, Herman moved to Los Angeles where he hoped to find, if not a stable acting career, at least one that had a chance of paying the bills. And so it turned out to be, with his career expanding into TV, film, commercials and other media. When his family grew to include a daughter, they bought a house in the San Fernando Valley where they have lived for over forty years. Herman has performed in pretty much every medium that requires an actor and about fifteen years ago, he took up writing for the theatre. He has been lucky enough to be published and have his plays produced.